Culture shock is a common experience when moving abroad to work. Some people experience feelings of unease, homesickness, or have trouble adapting to their new environment. The feelings stem from being placed into new surroundings with different expectations, which may vary considerably from your own culture. Therefore, the social and business norms may differ in your new country, making you feel uneasy. You may also miss your family or friends, your favorite foods, or your car back home. In countries where your native language is not spoken, you may miss the ability to speak fluently in your own language anytime you wish. Some people simply experience a general feeling of unease. They can't communicate what they don't like about their new surroundings. They simply have misgivings. The first step to overcoming culture shock is identifying it. When you understand that culture shock is a normal state when moving to an unfamiliar land, you are a step closer to dealing with it. Sometimes, due to the thrill of living in a new area, culture shock is not immediate, when settling into a new country. You may feel elated, and everything around you may appear to be bright, shiny, and new. Even commonplace activities take on a new brilliant appearance to some people when they first settle into a new country. Along with the demands of your new job, organizing a new home, and meeting new friends, you may be under the assumption that you have escaped culture shock. However, in this case, when the feelings of newness disappear, and you attempt to settle into the new environment, you may then experience culture shock. Culture shock may or may not be immediate. You may have a delayed reaction. 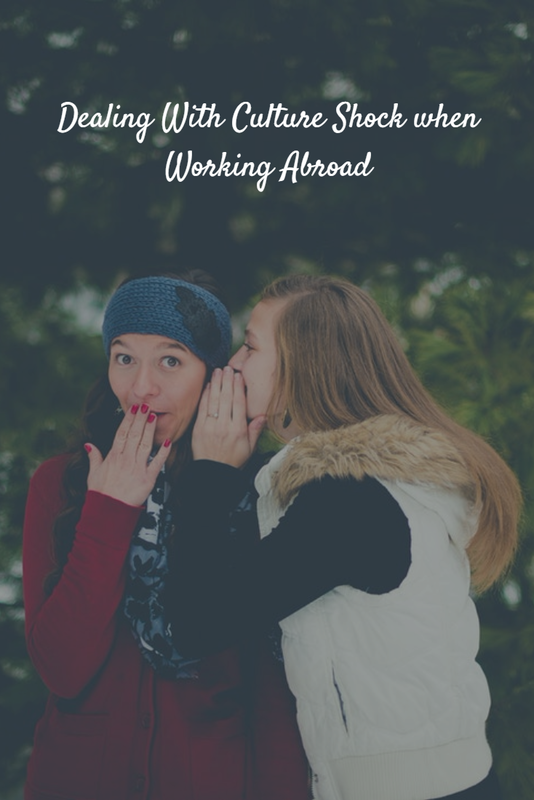 Once you realize that you may be experiencing culture shock, it is helpful to talk about your experience with people of your own culture who are also living abroad. Therefore, it's a good idea to have a network of friends or people from your own culture around you. If there is no such community, reach out to other foreigners in general, or make phone calls home. Communication with people who are familiar will go a long way to cope with culture shock. Talking with other new residents will help you to understand that you are not alone, and that others have had many of the same experiences as you. Be careful not to totally immerse yourself into life back home or with your friends. If you spend more time with other foreigners or talking with friends back home, you miss out on the pleasure of living in a foreign land and spending your time learning about a new culture. Try to balance time spent exploring and settling into your new environment with time spent with people and things that are familiar to you. For example, eat foreign foods sometimes, but also visit restaurants that cook food from back home, if those places are available. Explore your new surroundings. Spend some time making new foreign friends from your new environment, but also spend time with people you know from back home through Skype calls.